A graduate of ECA, Damian tutors at Leith School of Art and the National Galleries of Scotland and teaches from his studio. He has won scholarships to Prague, Toulouse and Tuscany. His interest lies in the moving figure often using his children as models. 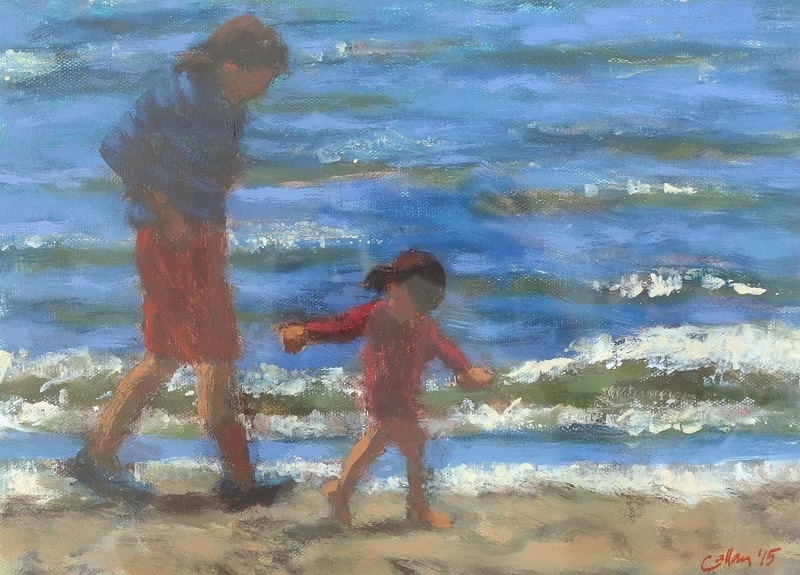 His loose style and free brushstrokes capture the exuberance of children on holiday.